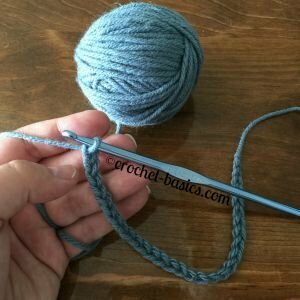 The picot single crochet stitch is a lot of fun to work and is really just super easy. It's exactly what it sounds like, too. 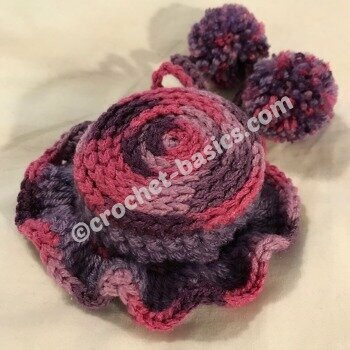 There is a picot worked into single crochet. The abbreviation for this stitch is psc. It is worked from the wrong side of the material. So that means that there will be a row of single crochet worked in-between the rows of psc. That way the picots will puff out on the front of your work. Working your material in this way is known as the Granule Stitch. 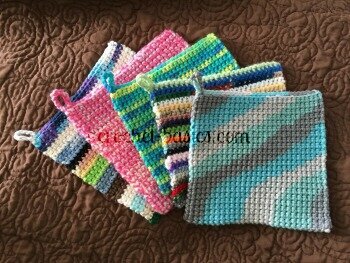 The picot single crochet is the actual stitch, the pattern that you use, alternating sc with psc is what the granule stitch refers to. We’re going to make a sample of the granule stitch ( using the psc stitch). If you want your picots to be off-set then work them in multiples of 4 + 1 + 1. If you want them to be lined up then just work them in multiples of 2 + 1 + 1. I think most people prefer for them to be off-set. So, that’s what our sampler will be. Let’s start by making 28 chains (multiple of 4) + 1 (for turning) + 1 (for the off-set). That makes 30 chains to start with. *Work a psc in the next sc stitch. Here’s how. Be sure to leave the second loop on the hook. Yo and pull through both loops on the hook. 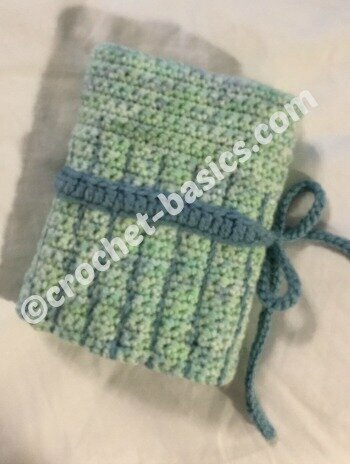 That’s the psc stitch! Let's continue with the granule stitch. 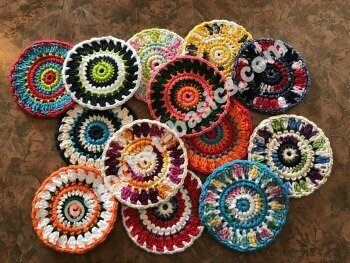 Picot Single Crochet Help . . .
You can gently push the chain in the picot to the back of your work if you’d like. --Which is actually the front of your piece. Repeat from * to * across the row, alternating between the 2 stitches. End with a sc. Turn. To see the top of the picot stitches better, it helps to flatten them out. Then you can clearly see the chain you are working with. You can see in the picture that the picots are off-set. Repeat from * to * across the row, alternating between the sc and psc stitches until there is 1 stitch left on the row. Repeat row 2 – 5 until you’re at your desired length. In our sample we’ll repeat steps 2-5 two more times. 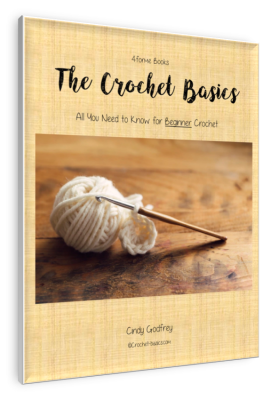 There you have it, the beautiful, yet simple picot single crochet stitch, or granule stitch, whichever you prefer to call it. Isn't it great that the front has texture and the back is smooth. I love it! Have fun using it in your projects.